An Ancestry DNA Test decodes your past. You can get a broad picture of your ancestry from a perfect genetic perspective that is unique to every individual and cannot be altered. What DDC Laboratories India does is link your chromosomes to geographic regions and groups from where you originated. A DNA test will connect you to the remote part of your genealogical past. 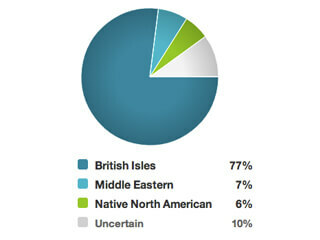 This DNA test is for those who are inquisitive about their past and want to dig deeper into their whereabouts. You can find out who they were, where they lived and how they migrated. DNA test gets answers to complex questions that would have remained unanswered otherwise. It permits you to go down the path your ancestors followed. You can also undertake this test by ordering an easy-to-use home collection kit. Just follow the instructions and submit the sample. The results would be available in 8 to 10 working days. A team of experts conducts the test and therefore accuracy is assured. We follow set procedures; therefore the precision rate is quite high. Our expert team is there to assist you in case you have any question in mind. They can also guide you to the type of Ancestry test most suitable for you. There are four categories in the ancestral DNA testing and you could choose as per your requirement.